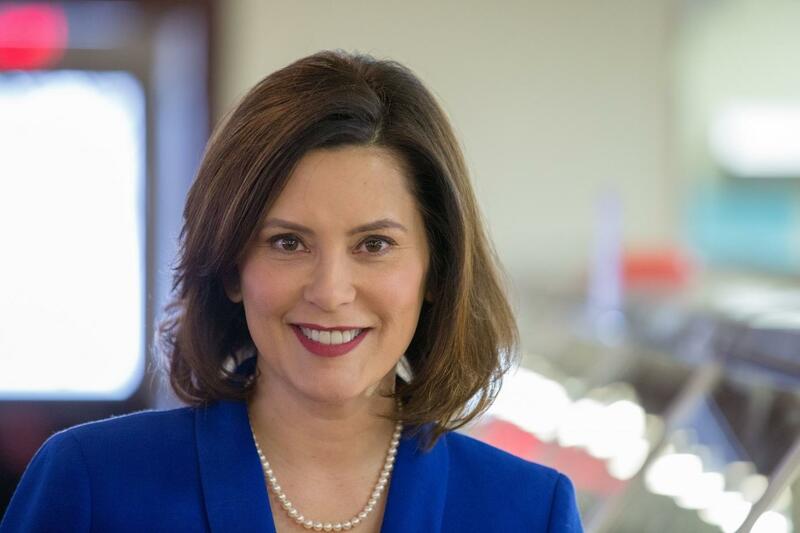 Whitmer discussed her plan to improve Michigan's education system on Stateside. Democratic gubernatorial candidate Gretchen Whitmer says literacy for Michigan's schoolchildren is a top priority. In an interview with Stateside, Whitmer said that if elected, she will fund education, support teachers, and make sure every student can read by the end of third grade. Recently released state test results reveal more than half of Michigan's third through eighth graders have not reached reading proficiency. "We're going to triple the number of literacy coaches in our schools, we're going to treat teachers with respect and support so we get great people to go into education and stay in education. And we're going to ensure that every child's got the wrap-around supports they need to be successful," she said. Whitmer said teacher shortages are a crisis in Michigan, and that educators should be valued. "Treating teachers with respect, making sure you can make a good living going into a profession like teaching, these are fundamental pieces of solving the education problem in Michigan," Whitmer said. Whitmer says Governor Snyder and the Republican-controlled Legislature have taken funds intended for schools to plug other budget holes. You can hear Republican gubernatorial candidate Attorney General Bill Schuette talk about education on Stateside here. 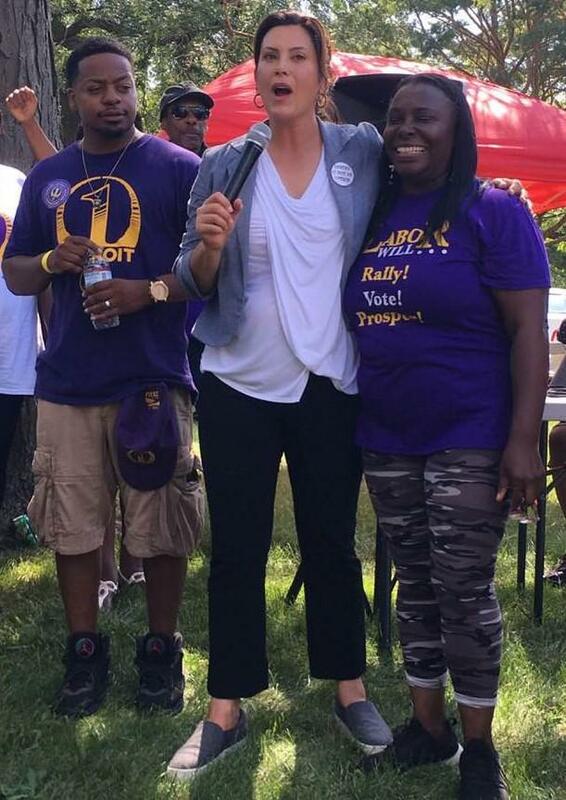 It’s Labor Day, and that means political candidates are stumping for votes at events around the state – and many Democrats were in Detroit for the city’s annual Labor Day Parade. Gubernatorial candidate Gretchen Whitmer and running mate Garlin Gilchrist met with skilled trades, Teamsters, and UAW union members. They also rallied with Service Employees International Union President Mary Kay Henry and SEIU members, where Whitmer pledged to use the governor’s office to champion the interests of labor. 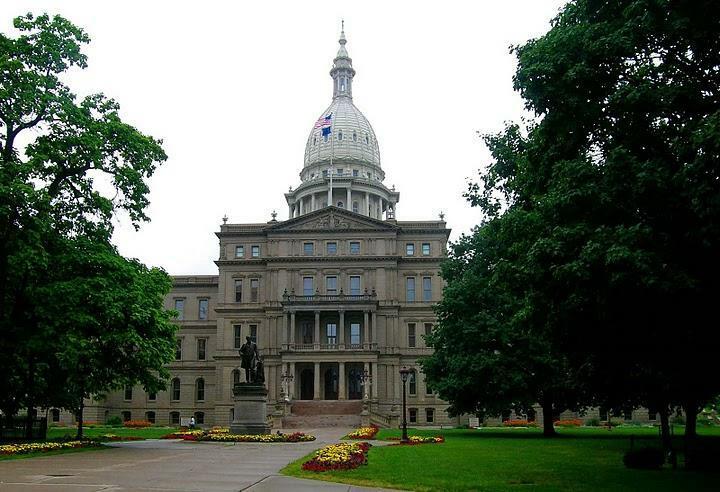 The Michigan Democratic Party finalized its portion of the November ballot this weekend. The Democrats held a so-called Endorsement Convention in April. It was there that they decided which candidates to throw their weight behind for races like attorney general and secretary of state. Democratic candidate for governor, Gretchen Whitmer, chose her running mate today. Detroiter Garlin Gilchrist will join Whitmer on the November ballot. Gilchrist is a former director of Innovation and Emerging Technology for the city of Detroit. He was also endorsed by progressive groups in a prior campaign for Detroit City Clerk.